Log into your website and view the admin panel. 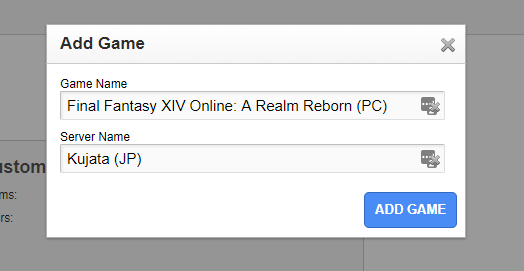 Go to the games dashboard "/admin/games"
On the top left, click "Free company import"
Type in your company name AND your company ID. Your company ID is usually a 19 digit number. You can find your company ID on the lodestone (Lodestone site). Search for your guild. Look at the URL. 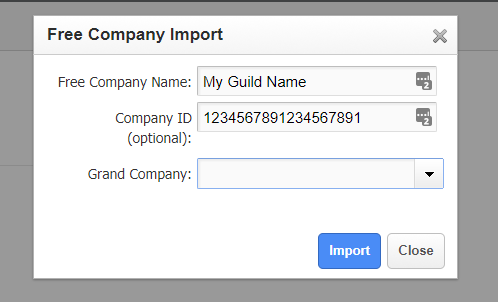 Your company ID is the number before '/member/'.